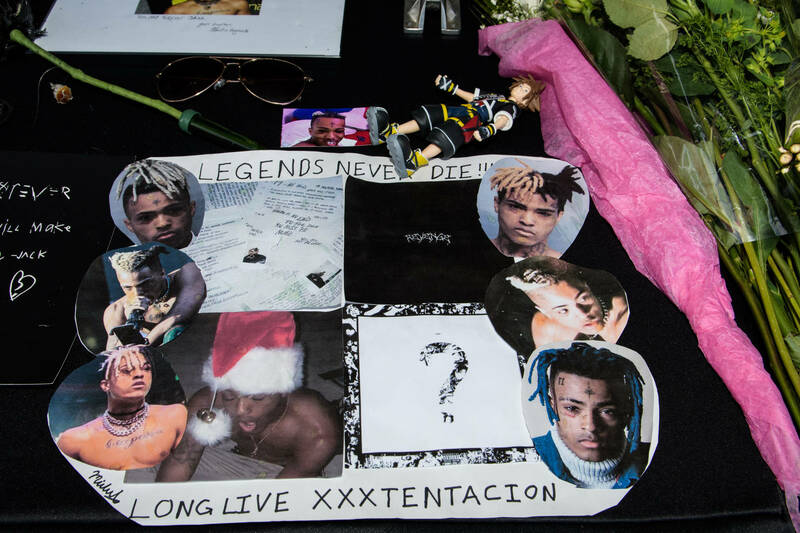 Prior to his murder in June 2018, Florida rapper XXXTentacion had promised a trilogy of albums: ?, Skins, and Bad Vibes Forever. Sadly, Triple X was only able to drop off the former before his death, providing an eclectic array of eighteen tracks. Kicking things off with an instructional message, X describes ? as he sees it: "It's something you can find comfort in, it's very comforting, but discomforting at the same time. So, with this project, again, you're entering my mind, feeling my insanity, feeling my, my genius, my energy." Though the growth of discography was brought to a premature halt, ? was arguably the height of X's artistical versatility, exploring a variety of different stylistic directions. Songs like "Moonlight" and "Sad!" showcased a more melodic, mainstream sound, while his heavier instincts were satiated on "Floor 555." There was even a brief foray into Spanish pop, and some good-old-fashioned bar-spitting on "infinity (888)". Hardly cohesive in its theme or sonics, ? was still an enjoyable display of creativity, and arguably Triple X's definitive project. Now, having recently turned one year old this weekend, Ski Mask The Slump God took a moment to commemorate his fallen friend. "1 Year Anniversary Since The Goat Dropped This Album Right Here," writes Ski. "Let’s Remember To Remember." Do you miss XXXTentacion? If so, be sure to give your favorite ? track a listen for old time sake.